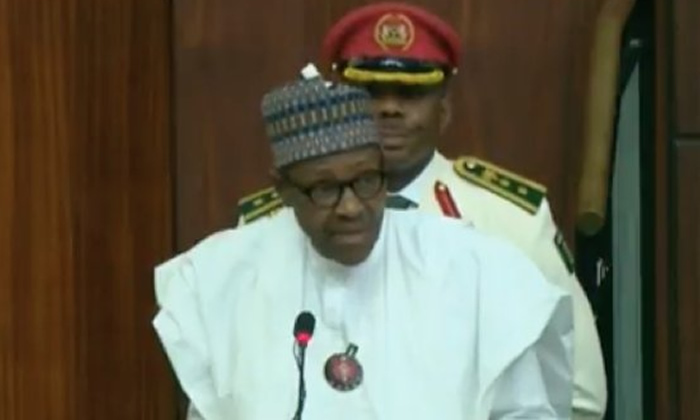 President Muhammadu Buhari on Wednesday said despite criticisms, his government had make remarkable progress in the fight against Boko Haram terrorists. He said the people in the North-East were aware of his achievement, the President wrote on his verified Twitter handle, @MBuhari. Since 2002, Boko Haram insurgents have killed more than 70,000 residents, abducted thousands and displaced over 2.3 million from their homes, according to the Crisis Group. In 2015, the Global Terrorism Index ranked the sect as the world’s deadliest terror group. President Buhari told the British Broadcasting Corporation in a December 2015 interview that his administration had technically defeated the sect, saying Boko Haram could no longer carry out conventional attacks against security forces or population centres. But the terrorist group has since then carried out deadly attacks, mainly in the North-East. Despite the attacks, President Buhari said, “People in the North-East know that we have recorded remarkable improvement in the fight against Boko Haram. “There is no doubt that we will fully overcome these challenges and win the war against terrorism in Nigeria.” Meanwhile, the Southwest Director of the Buhari/Osinbajo Campaign Organisation for the 2019 presidential election, Chief Olusola Oke, says not voting for President Muhammadu Buhari denotes backwardness. The News Agency of Nigeria reports that Oke said this while receiving members of Buhari/Osinbajo Strategic Solidarity Movement (BOSSEM) on Wednesday in Akure. “Voting for candidate apart from President Buhari in 2019 is like the Israelites going back to Egypt but in the APC we are focused on Canaan by supporting Buhari. “Mr President is the real project and the APC has a way of finding solutions to its problems; so, that is not a problem. We will all work together,” he said. Aside the internal crises within the party, Chief Oke, who is a two-time governorship candidate in the state, said the major challenge of next general election was for Nigerians to make the right choice. He assured the movement that the opposing camps within the party would work for the re-election of Mr President. The campaign director dispelled political insinuations that the internal crises within the party would affect the second term bid of the president in the South West. “My primary work is to bring everybody together — the aggrieved and non-aggrieved — to have a good showing. “We need everybody; so whosoever is aggrieved, we will make appeal to them. I am happy about one thing: Whosoever is aggrieved will still work for our President. “The Yoruba people are very sophisticated politically. Their place in the last election is crucial and critical and it is going to be same in this election. “We have our own options and we have weighed the options and at this level, the option of Buhari has no alternative and that is why we are going for him. No doubt, there are challenges,” he said. According to him, the challenges of what the present administration has been facing for the past three and half years are to lay a new foundation for the growth of the country. “The super-structure has yet to come. It is now our responsibility as Nigerians to make sure the solid foundation is not destroyed so that the super structure can be put on it. “To achieve this is not going to be an easy job, but we are fortified in our belief of the existence of various groups that care about the future. “Therefore, whatever challenges that we have are not insurmountable and I can assure you, we are not going to look back,” he assured. Oke, alongside the BOSSEM Coordinator, Femi Bamisile, who is a former Speaker of the Ekiti House of Assembly, pledged to deliver the six states in the South-West for the ruling APC.